What Is a Good Substitute for Sour Cream When Baking? If you run out of sour cream there are other foods you can use to adequately replace it in baking. Vegetarians and vegans may also substitute dairy sour cream with other options so there are no animal-based ingredients in the recipe. Using alternatives to sour cream gives you the opportunity to find products with lower calories and better overall nutrition. 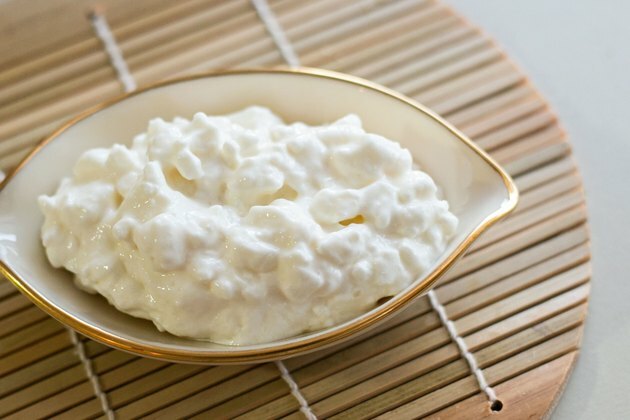 Cottage cheese can replace sour cream by placing one cup of drained cottage cheese in a blender with 4 tbsp. of buttermilk or low-fat milk and 2 tsp. of lemon juice. 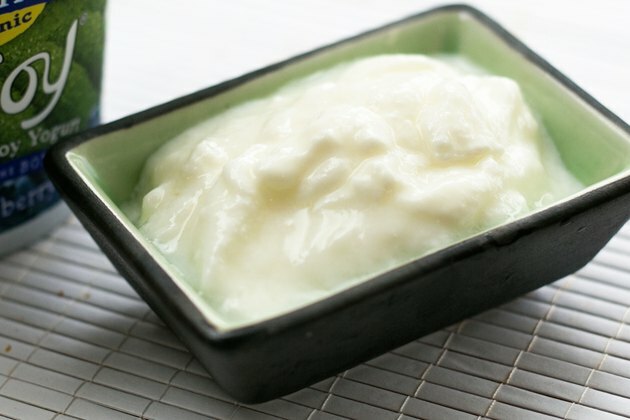 Small curd or large curd cottage cheese may be used, however, large curd will take slightly longer to blend. Blend the cottage cheese mixture until smooth and store it in the refrigerator. Use this cottage cheese substitute in place of sour cream, cup for cup, as needed. You can substitute sour cream in a recipe with buttermilk. 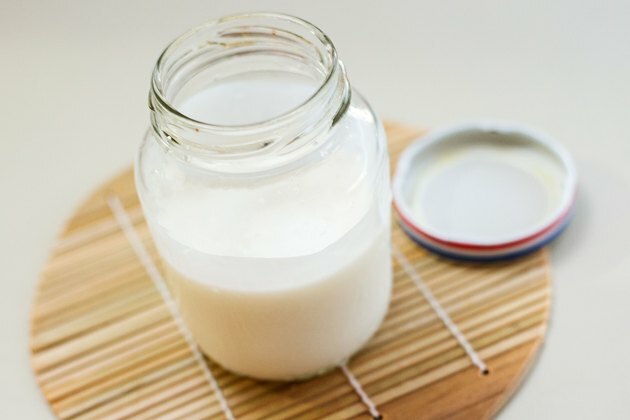 Use store-bought buttermilk or make your own by combining 1 tbsp. of lemon juice with enough whole milk to fill one cup. Let the milk and lemon juice mixture sit for 5 to 10 minutes before using in a recipe. Store left over buttermilk in the refrigerator for no more than a week depending on the expiration date printed on the milk container. Substitute sour cream with plain, low-fat yogurt in baking. Stir the yogurt before using because prepared yogurt may separate. Use exact measure for substitution, for example one cup of sour cream equals one cup of yogurt. Yogurt is also an alternative for chip and vegetable dips. Plus, it provides more protein and less fat than regular sour cream. If you use Greek yogurt, this will provide additional protein content. 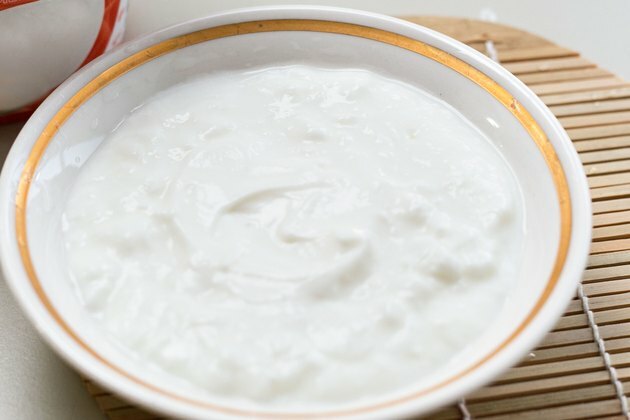 Soy-based yogurt can be used in place of sour cream for those looking to eliminate animal-based products from the recipe. Another option is to mix in a blender or food processor, one 10.5 oz package of crumbled tofu with 4 tsp. of lemon juice, 2 tsp. of apple cider vinegar and 1/2 tsp. of salt. 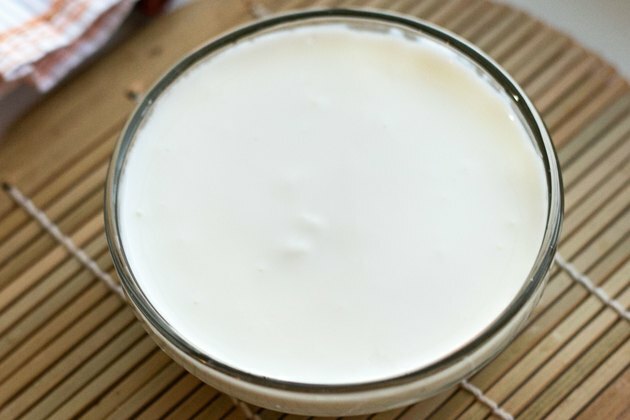 Blend this yogurt mixture until smooth and substitute sour cream, cup for cup, as called for in the recipe.